Most people tend to hire a personal trainer when just starting out in the gym as a way of easing into the fitness world. There are other reasons that you may wish to hire a personal trainer. Personal trainers, however, don’t come cheap and if you are going to spend your money on one, you need to make sure that your personal trainer of choice cares more about your progress and goals than your cash. There are good and bad personal trainers out there but you have to sift through to find one that fits your needs. What are some of the things that you have to consider before hiring a good personal trainer? It’s not the personal trainer’s job to define goals for you. You must know what you are looking to get out of the relationship and training program. Start by explaining your goals to a few personal trainers and check how they relate to you, and you with them. A good personal trainer will listen to you and be straightforward with you about how you will achieve your goals. I have met trainers who talked more about themselves, how they trained, what they ate and pretty much cared less about what I wished to accomplish with them. 1. Is the personal trainer certified? Do not assume that as long as someone says they are a personal trainer, they are actually qualified. In this digital age, anyone can obtain certification overnight and call themselves a ‘certified personal trainer’ or ‘coach’. It is your right to ask where they studied, the accreditation of the qualification, what they studied etc. If you are not comfortable with asking them directly about their education, approach the gym management and ask for the personal trainer’s credentials. Having the right qualifications isn’t enough. The trainer must have real-world experience in the field. Ask them questions. Find out how long have they been in the fitness industry. Ask about the clients they have worked with. You should as well request for the success stories and the ‘before and after’ photos of their clients. Whatever your goal, find out how many clients they have trained in that particular area and the time it took to achieve the results. 3. 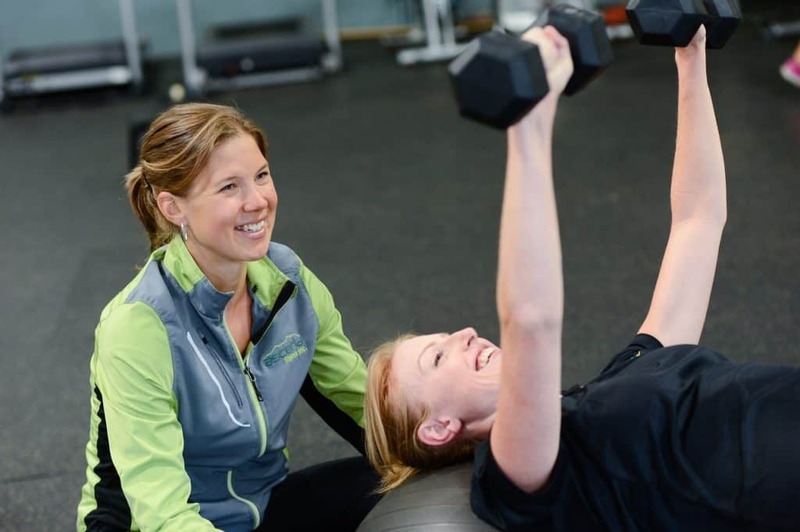 How to Hire the Right Personal Trainer: How do they relate to their current clients? Observe personal trainers when they are working with their current clients. You’d be surprised at how many trainers I have seen who do not respect their client’s time. I have seen trainers who spend half the time chit-chatting with the client or with the people around them. There are also trainers who don’t pay attention to the client and are constantly texting on the phone. I have also seen trainers who are impressively engaged with their clients. A great and professional personal trainer will focus their attention on the client during their paid-for sessions. 4. How does the personal trainer intend to hold you accountable? If your goal is weight or fat loss, the trainer should be able to advise you upfront to make use of food tracking apps such as MyfitnessPal, Eat This Much etc or use a fitness planner to track your meals, workouts and overall progress. As the saying goes ‘anyone can workout for an hour, but to control what goes on the plate the other 23 hours, that’s hard work.’ A great trainer will ask that you track your meals and give them feedback at the end of every night. Finally, knowing how to hire a good personal trainer that knows what they are doing is only half the work. You are accountable for the results you want to see. If you put in minimum effort, you will get minimum results. Your fitness goals must be realistic. Sometimes people want to see results overnight and expect miracles from trainers. When this doesn’t happen, they quickly give up and give trainers a bad name. 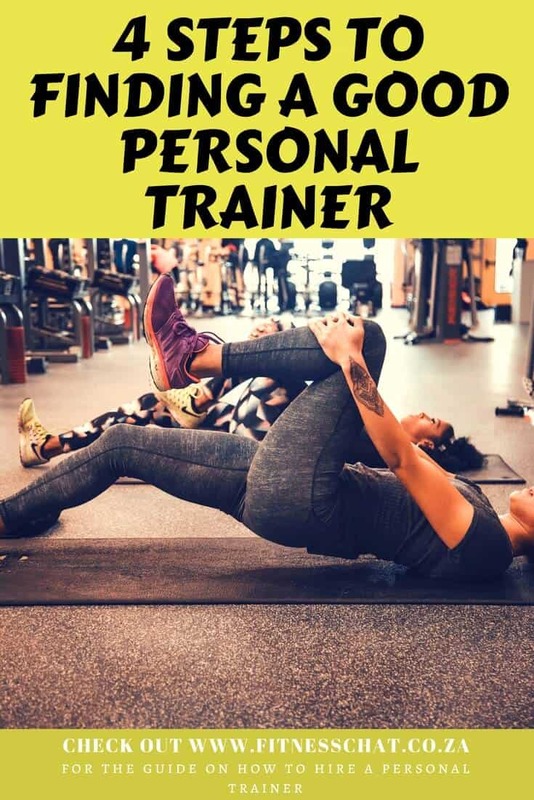 You have so many great tips and with so many people jumping on the personal trainer bandwagon these days you really have to make sure you find the right one. This is super helpful! I always assumed that people hire a personal trainer and then ask them what they should do to be healthy. I hadn’t really thought about defining goals before hiring one. Great tip! This is perfect for people who have just started working out and would like to seek the help of a personal trainer. It’s important to make sure that you are hiring the right person for the job. Loving this guide of yours! I’ve never thought of hiring a personal trainer, mostly because I’m afraid they’ll yell at me. Okay, so most of my personal trainer knowledge comes from TV and movies, lol. If I had the money, I’d do it now. I need someone to keep me motivated! Personal trainers daunt me. I don’t know why but it is just not something I think I’d engage in unless I found someone particularly inspiring! These are a bunch of great tips. I know what to look for now when I’m looking for a personal trainer. I’ve always wanted to hire a personal trainer but I’ve been lacking the motivation to even get myself to go to the gym. If I was going to hire one I would probably just use the recommendation at whatever gym I happen to be at . Fab tips. I’ve had so many trials with personal trainers. I know what I want from my results and overall goals but sometimes i find making my own workout plan is a cheaper way for me. these are all wonderful tips you are sharing, I truly believe they are all awesome to keep in mind if I ever choose to get a personal trainer. while i am more of a yoga person this is still good to know. I agree. There must be so many people out there claiming to be a personal trainer but the question is, are they actually qualified. It is important to check their certification and credentials. I would love to hire a trainer to help me get fit, these are so useful to read. This is one of the perks at my husband’s work, to get a free personal trainer each semester. He talks about many of your very points, especially the relationship piece and being accountable. These are awesome tips! I haven’t had a personal trainer since I was in my early twenties. I may need to look into getting one again. Haven’t tried getting a personal trainer since it’s not really a trend here in our country. But I think it’s still helpful and effective! I have actually been really wanting to hire one this month. I think it would really help me to get my fitness back on track. Very helpful information. Besides making sure my trainer is certified, I always want to work with someone who will push me but not to the extent of hurting myself. I also want someone who will take into account my body type and goals I want to achieve. This is fantastic advice. I would love to hire a personal trainer if I could afford one! I definitely need a kick up the bum! I may have to do this in the future. Great tips on what to look for in the future. Can help motivate people too!!! I am thinking of getting a new personal trainer soon for weight training. Great tips here. This is great to know. would love to get a personal trainer for myself at some point. These are awesome tips! If you want to have someone who monitors your fitness, it’s nice to have a personal trainer who will push and motivate you to keep going. These are great tips and it’s definitely important to look for the right one. About 10 years ago I had just had heart surgery and really wanted to exercise but had to be extremely careful. I hired a personal trainer and it was a great experience! I’ve actually been thinking of hiring a personal trainer. I’d love to have some help just in getting to the next place with my fitness goals. Hiring the right personal trainer is so essential for someone who is looking for help reaching their health and fitness goals. Not every training style will work for every client, so it’s important for someone looking for a trainer to make sure they share what their goals/motivations are, as well as what helps keep them accountable. 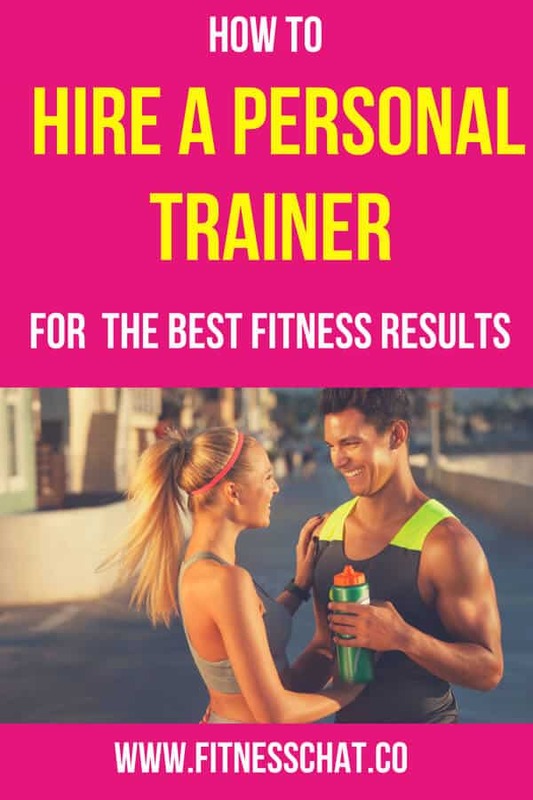 I have never thought to hire a personal trainer as I always thought they were for really sporty people, but I guess they can help anyone to get a proper fitness routine set up. These were great tips. I have thought about getting a personal trainer but probably not anytime soon There are so many people who have jumped into the personal trainer bandwagon that it’s hard to know where to start. I would also consider the trainer’s personal experiences – for example, I had a trainer who wasn’t a mom and was freshly certified. She showed no compassion or understanding in regards to what moms deal with physically, mentally, or emotionally, and she had no training experience as far as postnatal recovery. It’s impossible to relate to every client but I felt that with so many moms out there, she should have been more compassionate towards parents as clients.